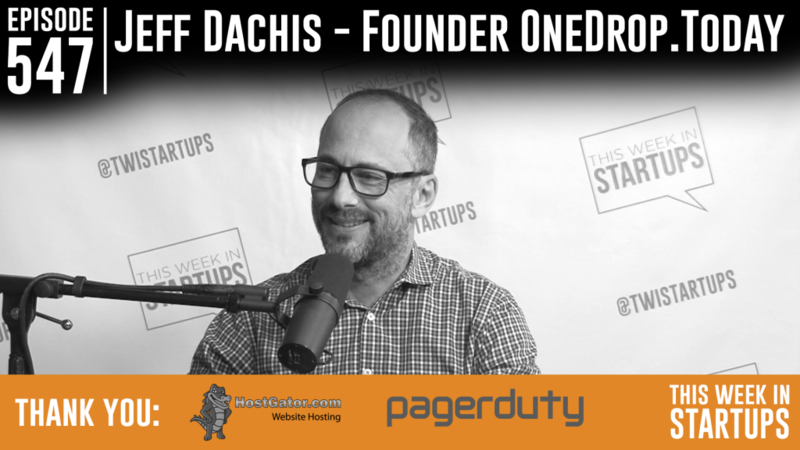 On today’s show is entrepreneur extraordinaire Jeff Dachis, former CEO/Founder of Razorfish & current CEO/Founder of OneDrop.today, an incredible management & social platform for people with diabetes that won Best Design at LAUNCH Festival 2015. Soon after Jeff learned that he had diabetes in 2013, he discovered the complete lack of tools available to manage it — and decided to invent them. OneDrop, a Waze for diabetes, pulls together data that is normally siloed, and gives users all the information they need, in one place: tracking glucose levels, meals consumed, exercise & activity information, and much more. OneDrop also connects users, letting them share their data & support each other’s endeavors. Jeff walks us through an awesome demo of his product, including sneak previews of features & new monitors coming soon. It’s a rich conversation in which Jason and Jeff also discuss the need for more prevention-based healthcare solutions in our problem-based system, health care versus self care, disease management as a market, the differences between diabetes types 1 and 2 (and the future/hope for each…), what Jeff has learned on his entrepreneurial journey since web 1.0 (hint: talent is everything) — and more. Join us! !